Welcome aboard Julia and the team from Full Circle Eco Store in Napier. Please welcome our latest stockist aboard: Whakatane Organics - welcome Lorraine and the team. Products will be in stock from mid next week. Please welcome Kim and the Team from Plastic Free Pantry on Waiheke Island aboard our stockist. Welcome aboard Lisa and the team from Wholefoods Market & Health Store in Christchurch. Welcome aboard Lisa and the team from the Herbal Dispensary in Tauranga. Please welcome aboard Natalia and the team from In a Pear Tree. The beautiful shop is located in Ruawai. Please welcome Chelsea from Monarch Childrenswear in Taupo aboard our stockists. Please welcome aboard our latest stockist Hungry Elephant in Warkworth. From mid next week you can buy SoapNuts products at The Farm Shop in Gordonton. The SoapNuts Giftpack is AMAZING. Going to start using then for everything. The stain remover bar is a repeat buy. I am so impressed with it and have recommended it to others. I love the lemon oil that I purchased last week. It makes my laundry smell so fresh and it goes perfectly with my soap nuts. I'm glad I got the Large Laundry pack. 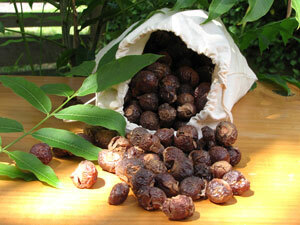 I'm so impressed with the fact that the rinse cycle is not needed when using Soapnuts. These sounded interesting and even though I've been making my own laundry liquid, I thought i would give these a go.